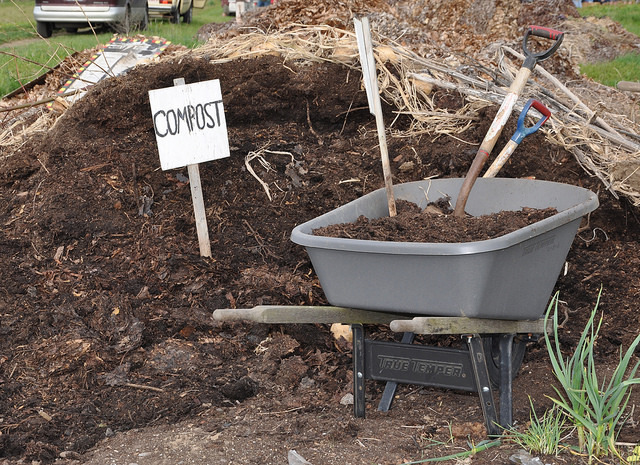 Theme: God’s faithful and generous people sometimes need a little “holy composting” to thrive and produce abundantly. Isn’t it easy for humans to ponder why bad things happen to good people (or to people in general) and somehow link it to sin? Even though we know it’s not productive to gawk and cluck at disasters and tragedies, there’s a part of our broken humanity that’s still drawn to watching the news reports and 24/7 updates. 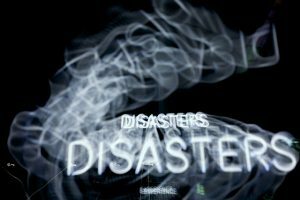 Consider the televangelists and prominent evangelical preachers who are all too quick to ascribe a disaster or public tragedy to some kind of sin. The setting for this Sunday’s gospel lesson is the first century version of rubbernecking and gloom-and-doom prognosticating. Sadly, not much has changed in some 2,000 years. Humans, in all of our beauty and brokenness, tend to ask the wrong questions, judge too easily, and place value on the very things that do not last. We see more of this human misdirection in the lesson from Isaiah, where God asks, “Why do you spend your money for that which is not bread, and your labor for that which does not satisfy? Listen carefully to me, and eat what is good, and delight yourselves in rich food. Incline your ear, and come to me; listen, so that you may live” (55:2-3a) Okay, let’s add a few more years of human misdirection to the total. The point we so often miss is this: God loves us and is not giving up on us. Jesus calls us to turn, to repent, and to experience life abundant. Even when we don’t get it or forget or ignore it entirely, our Lord does not give up on us. In fact, Jesus offers this puzzling agricultural parable in response to a line of questioning about the connection between sin and disaster. Jesus tells of a fig tree that’s not doing what fig trees are supposed to do—produce figs. The owner of the vineyard wants to cut it down, figuring it is a drain on the soil. After all, a vineyard is supposed to produce grapes—not figs. So what’s the fig tree doing in the vineyard in the first place? Figs and grapes are not ripe for companion planting. They don’t grow together well, and no self-respecting vineyard owner would intentionally plant a fig tree in the midst of a vineyard. Worse yet, this fig tree doesn’t “pay rent” by providing fruit. Whatever Jesus was attempting to symbolize by this story, the good news is that our Lord, the master gardener and steward-in-chief, doesn’t give up on oddballs, folks who fail to thrive, and those who don’t produce. In God’s garden no beloved one is beyond some tender cultivation and another chance. There is, however, a clear sense of urgency to the message of Luke’s gospel. Manure or compost notwithstanding, growing into the light of Christ is the call, and it is not one to be ignored. Even with compost and manure, some plants fail to thrive and even die. The stakes are too high, my friends, for us to ignore the message of Jesus. If you’re feeling like a barren fig tree in a vineyard full of lush grapes, don’t despair. If you’re easily distracted about predictions of gloom and doom and the connection of sin to disaster, take a deep breath and refocus on the God who loves you beyond all measure. Who knows what can happen with a little divine TLC and a reorientation of self? Return to the Lord your God who will give you every opportunity to flourish. What does it take to make a garden grow? Consider bringing in a master gardener to talk with youth about soil health, compost, and companion planting. Might your youth construct and plant a small raised bed on church property to tend? If you’re a member of Thrivent Financial, you could even apply for an action team grant to help them get a small community garden started. This week’s focus verse is Isaiah 55:1– Ho, everyone who thirsts, come to the waters; and you that have no money, come, buy and eat! Come buy wine and milk without money and without price. Is there really such a thing as a free lunch? We’ve been told there isn’t, so what’s God up to in this lesson? Maybe it has something to do with the idea that if we all keep our focus on God, we’ll be better able to solve the human problems and broken parts of this world. Take, for example, hunger. Invite the children to identify ministries in your congregation and community that help address hunger. Let them name ways we work to reduce hunger. Then tell them that it would take only $160 per year, per person, for each of the world’s poorest people to be fed. The total needed would be about .03 percent of the global GNP—a pretty small percent to ensure that all are fed. While it is difficult to think about solving hunger on a global scale, we can all do a few things locally to make a difference and learn all that we can to solve the problems. Tell them that any one of them could grow up to serve in a way that would end hunger. Finish with a simple prayer that all may be fed and that God will give us the will and the ways to make a difference in the lives of our neighbors near and far. 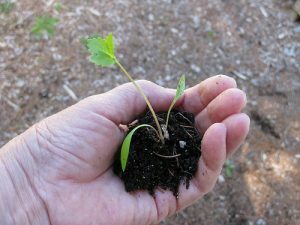 Are you a disciple in need of a little compost or manure to grow? Don’t be discouraged. You can find what you need right here in this Body of Christ to be a good steward of your own faith walk and to grow and flourish so that you can be a witness to others. Photos: Oregon State University, Tim Simpson, and Katerha, Creative Commons usage license. Thanks!